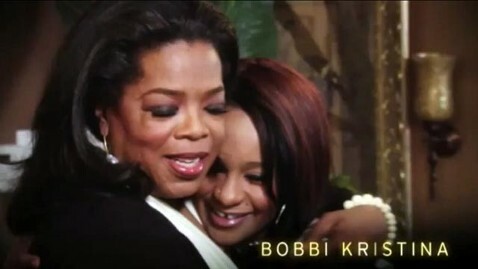 A day after it was announced that the former queen of daytime talk Oprah Winfrey had nabbed Bobbi Kristina’s first interview since the death of her mother Whitney Houston, Winfrey’s network released a trailer for the upcoming interview showing Winfrey comforting the 18-year-old girl. “The world lost an icon, they lost a mother and a sister,” Winfrey says in the trailer while a picture of Houston with her sister-in-law Patricia Houston and daughter Bobbi Kristina is shown. Winfrey’s interview with Houston’s family, including her brother Gary and his wife Patricia, the singer’s manager, will air on “Oprah’s Next Chapter” at 9 p.m. Sunday on OWN. It’s the family’s first sit-down interview since the singer’s sudden death Feb. 11. Before the interview, OWN will re-air its special, “Remembering Whitney: The Oprah Interview,” which features the singer’s 2009 interview on “The Oprah Winfrey Show” and Winfrey’s personal memories of Houston.